Tweak | Natural Cracker Co.
Home » Packaging » Natural Cracker Co. 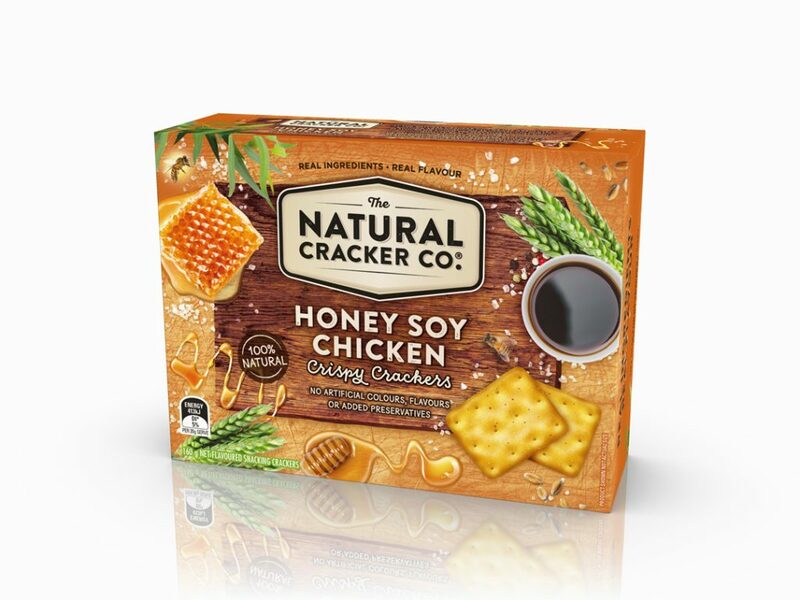 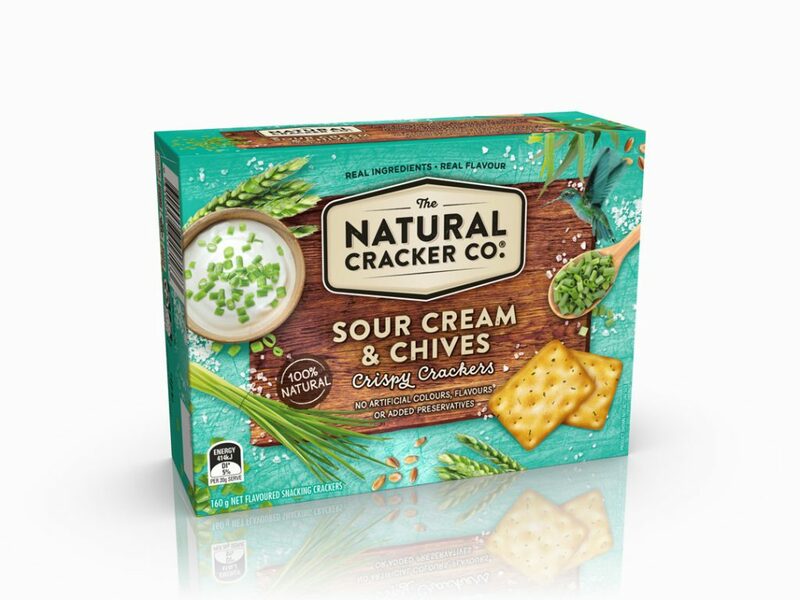 Following the success of The Natural Chip Co. potato chip comes the launch of The Natural Cracker Co. taking on the power brands in the cracker category. 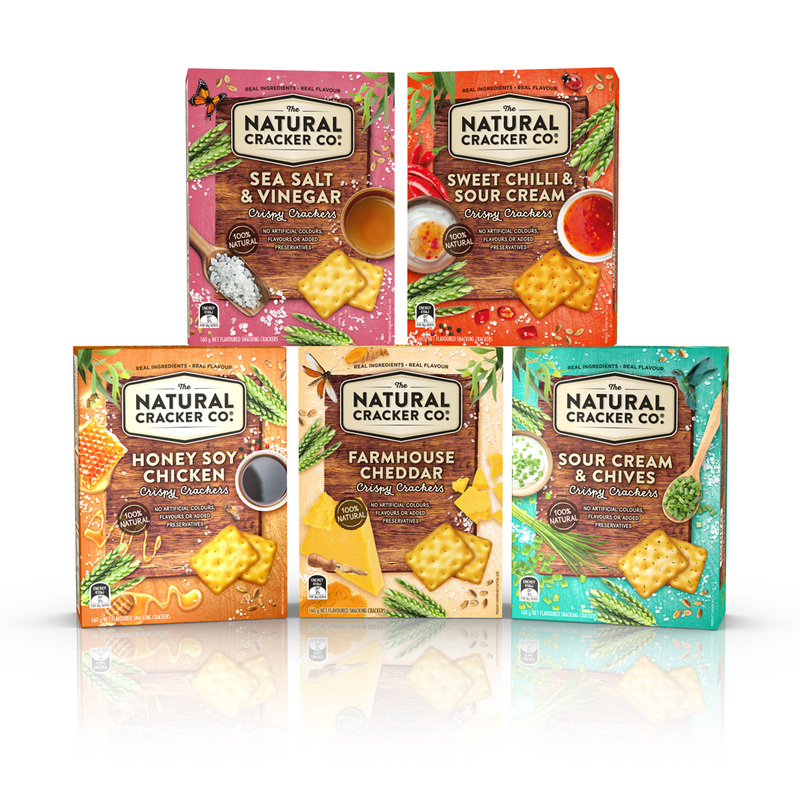 Tweak’s design integrates the brand equities of ‘natural’ and ‘taste’ and achieves cut through shelf presence with strong appetite appeal. 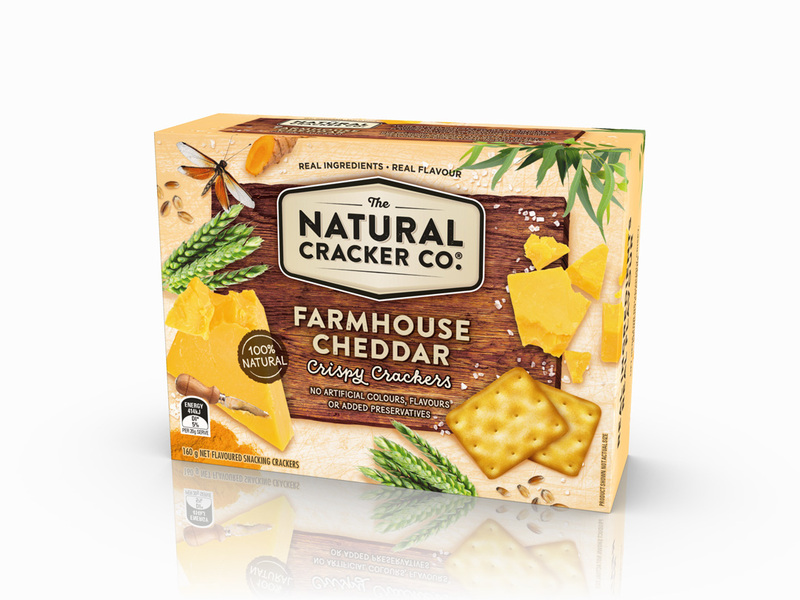 A central woodgrain board holds the brand mark, flavour descriptor and key claims to link the range. 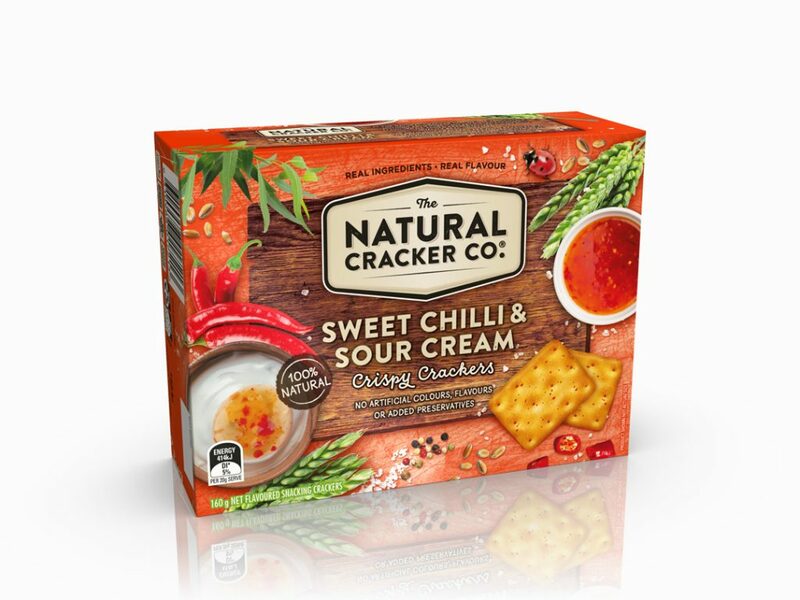 Variant colours and bold ingredient imagery ramp up the taste cues, while the accents of green gum leaves, wheat and fauna highlights the core attributes of natural.